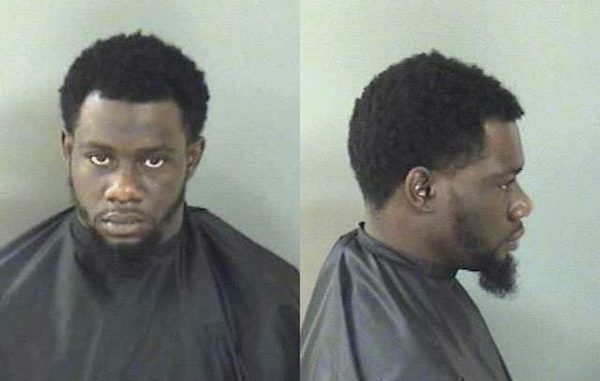 VERO BEACH – A Georgia man was arrested on Saturday night after shooting a firearm in the air according to the Indian River County Sheriff’s Office. Deputies responded to a call at the 3000 block of 1st Place in Vero Beach in reference to shots fired, and two men fighting. Upon arrival, deputies heard a disturbance inside the home and observed a silver handgun with a wood handle just inside the doorway. They also noticed a single spent shell casing on the floor near the front door. Charles Dexter Moody, 26, said he fired the handgun in the air because he said “that’s what we do back home,” according to the report. Moody stated that he asked a relative inside the house if he could shoot the gun, and they said, “Yeah, I shoot it outside all the time,” so he took the gun outside the front door and shot it in the air. “I observed a hole in the awning just outside the front door that was consistent with a bullet hole which shows that a bullet penetrated the house. Charles advised that he caused the hole when he shot the revolver,” the deputy said. Bond was set at $13,000.00. Moody posted bond and was released Sunday afternoon.